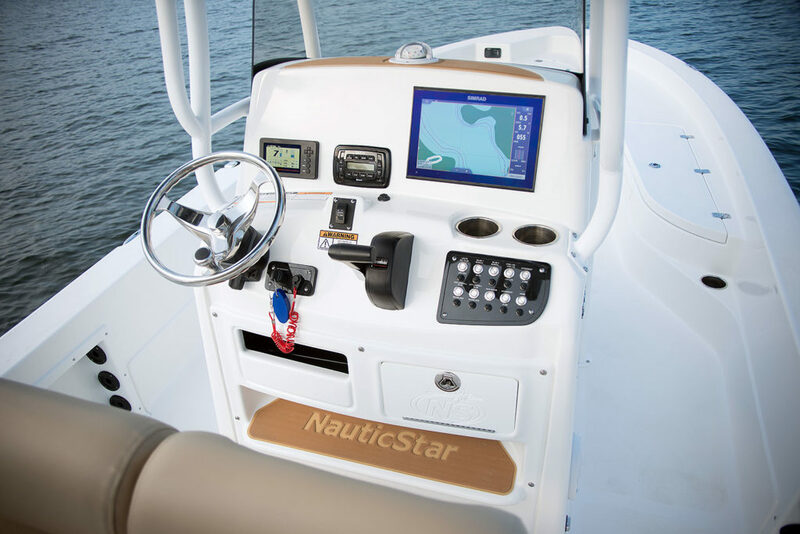 NauticStar® has reached the pinnacle of boating technology for maximum performance and pleasure with the Extreme Tournament Series. 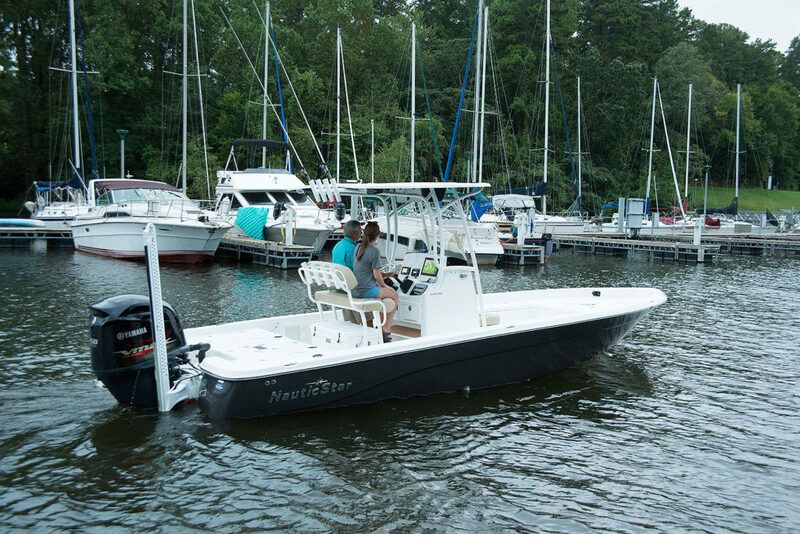 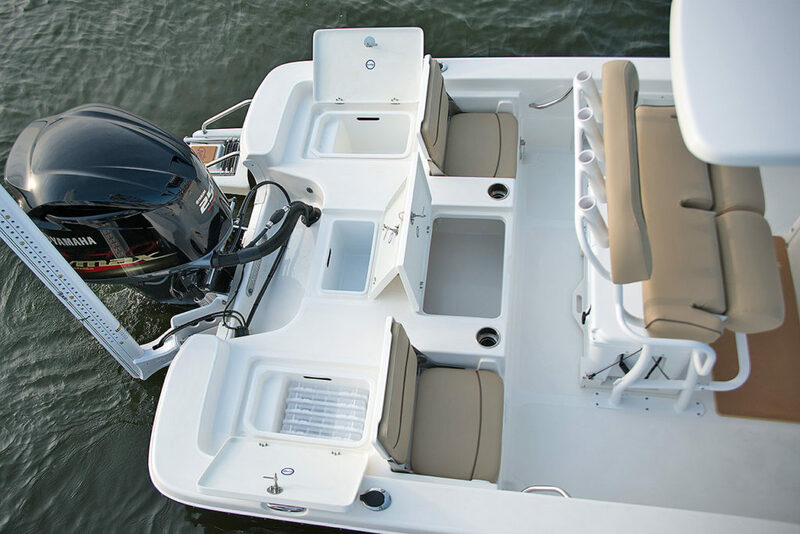 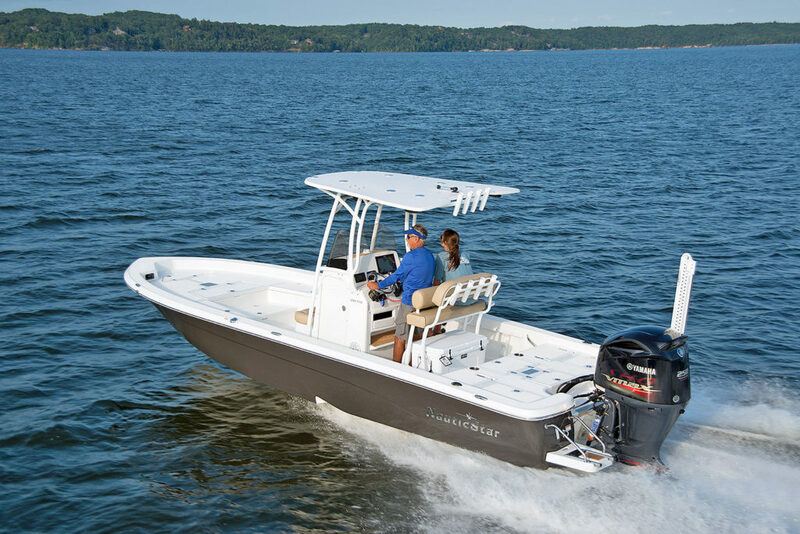 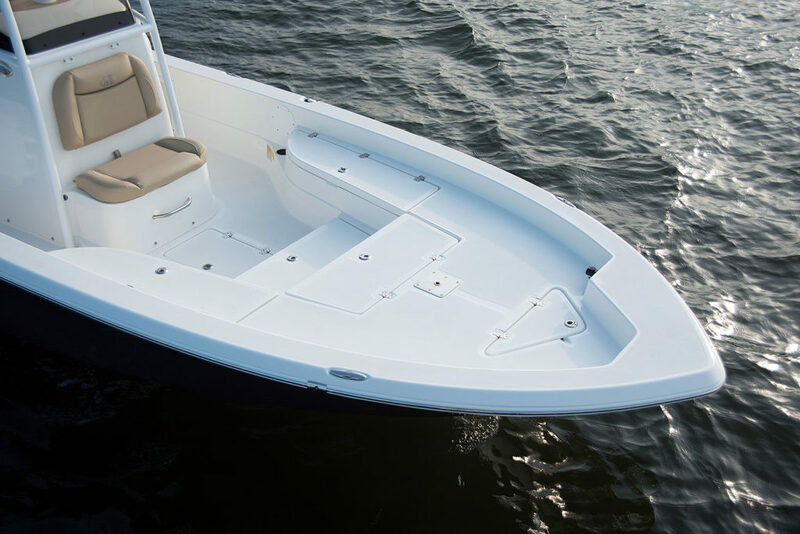 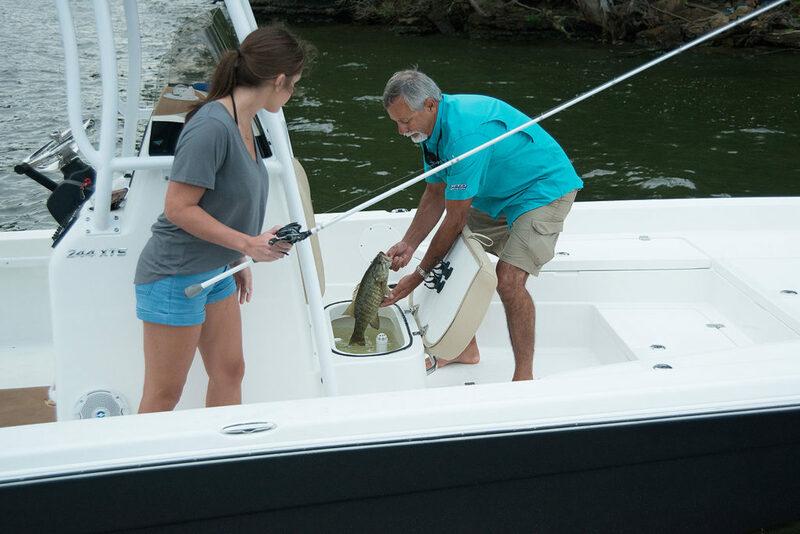 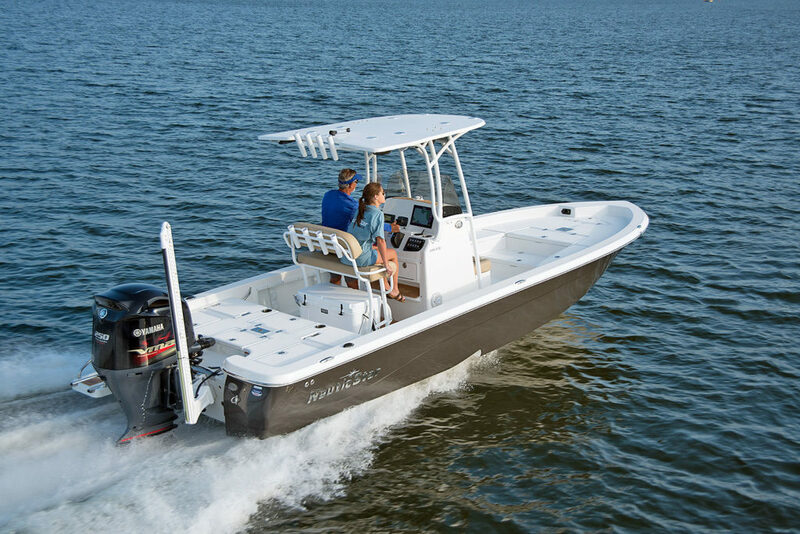 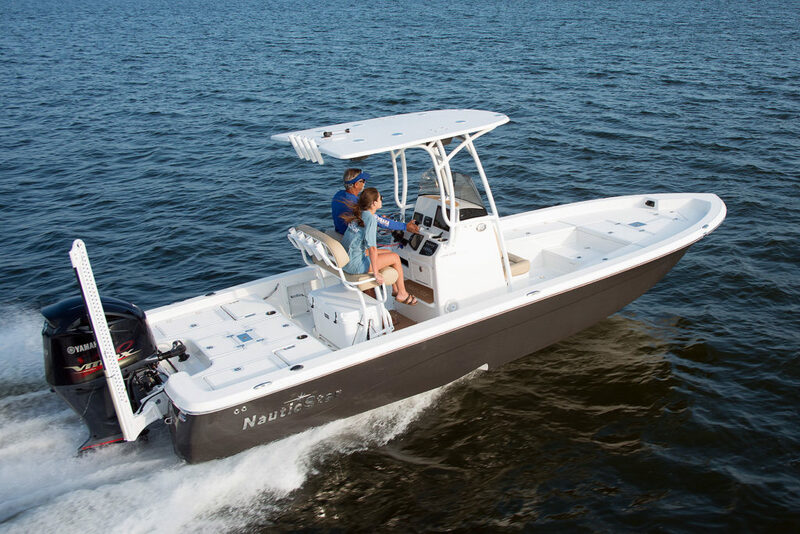 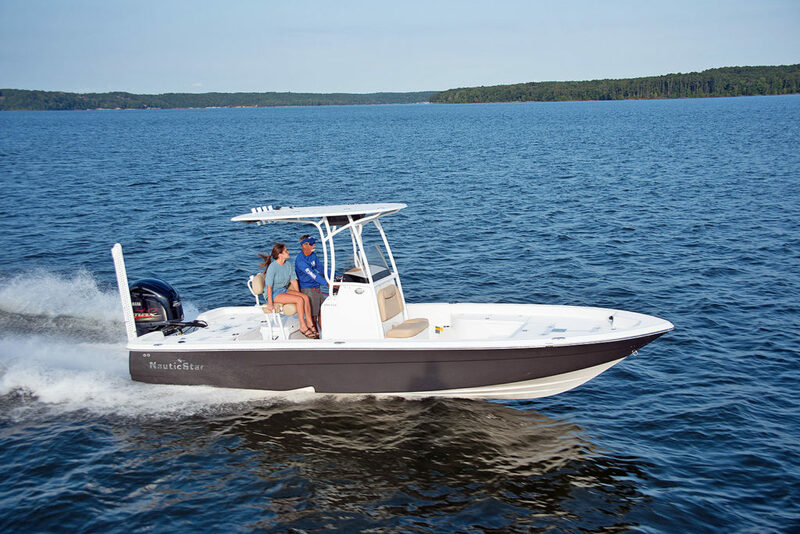 The 244XTS is loaded with fishing and comfort features. 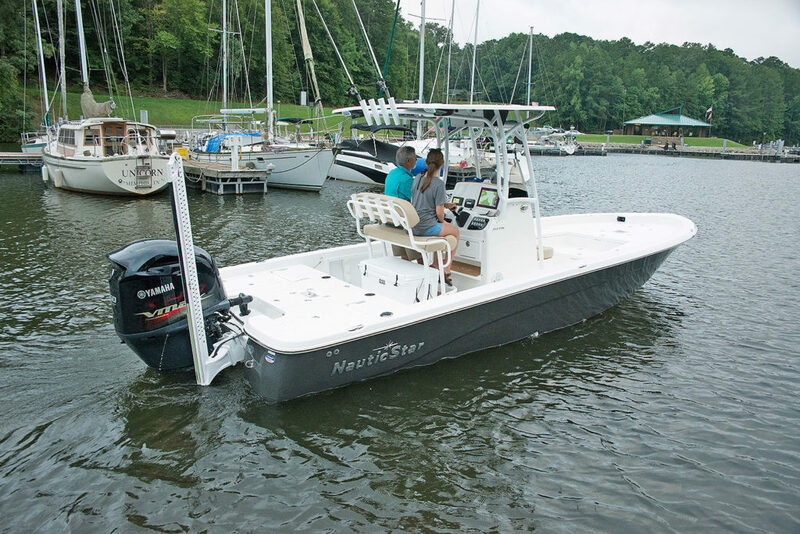 Includes Reverse Hull Color, 4 additional Courtesy Lights, 2-LED Underwater Lights, Leaning Post w/ Bucket Seats, YETI® Cooler w/ Slide, and Flow Rite Pump-Out Sprayer on Front and Rear Livewells with Overflow Drain. 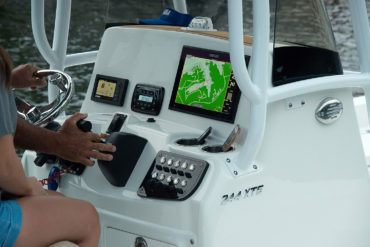 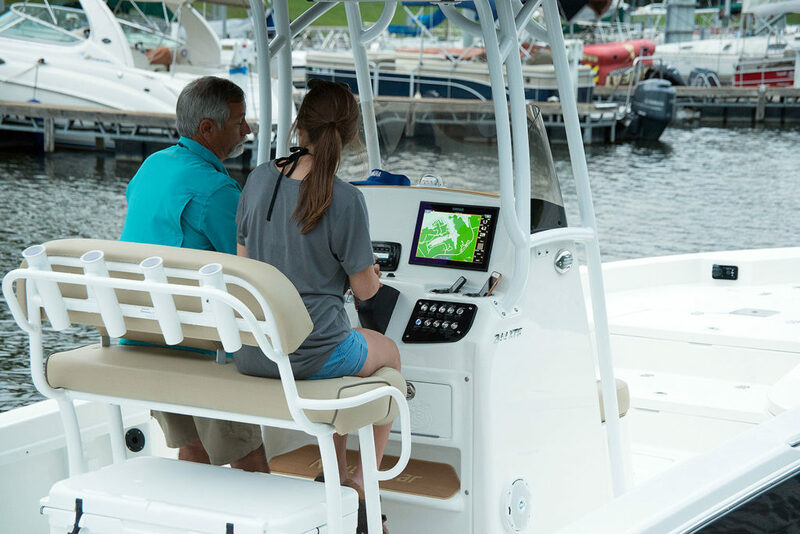 The optional head console can be fitted with a black or white powder coated T-top, SIMRAD® 12" touchscreen displays, SeaDek® footrest and stainless steel drink holders. 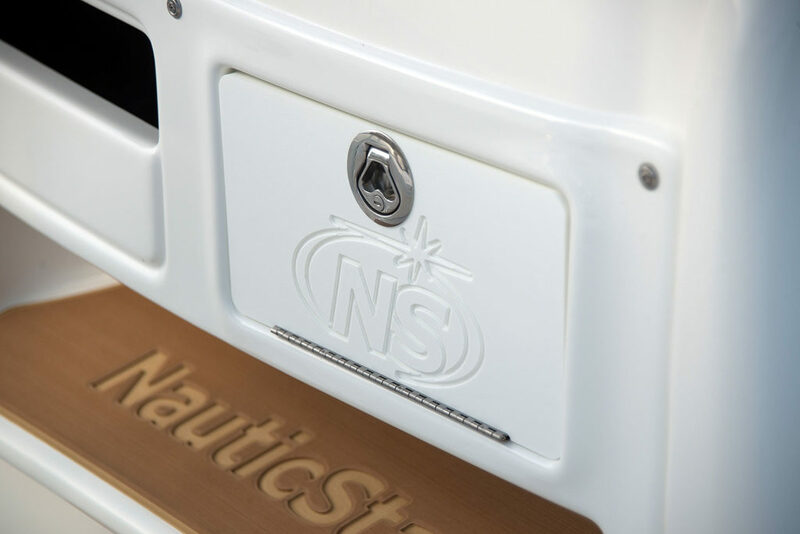 It now comes with the new stainless steel lighted pushbutton switch panel. Also shown is the optional SeaDek® anti-fatigue helm mat. 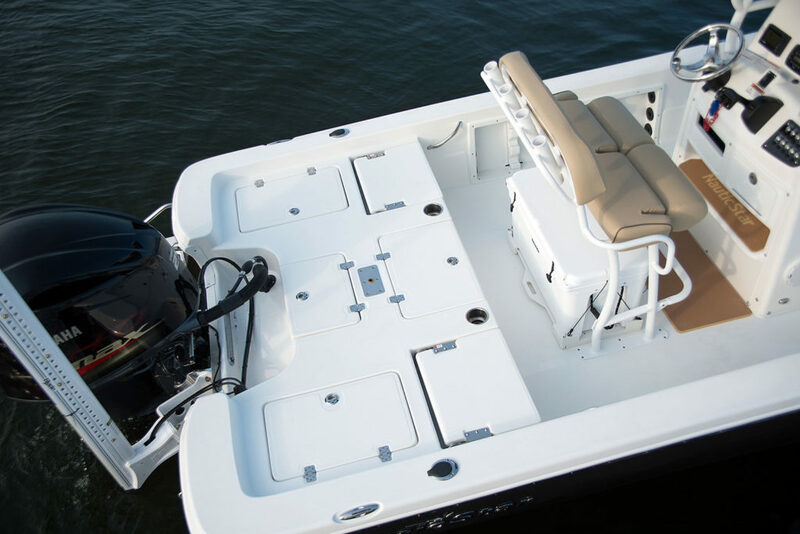 The forward fishing deck is equipped with a variety of storage compartments for efficient use of space. 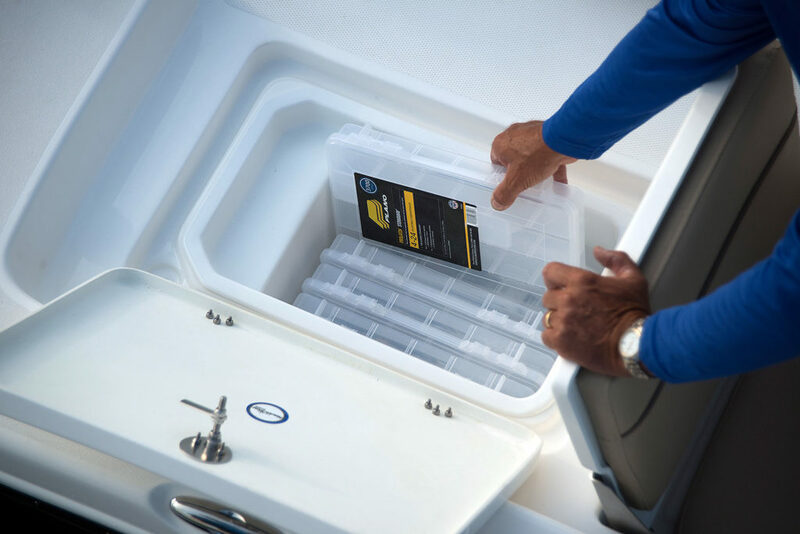 2 rod lockers with organizers for 10 rods, in-floor cast net / bucket storage, 30 gallon insulated fish box in the step-up, dry storage, and anchor locker. 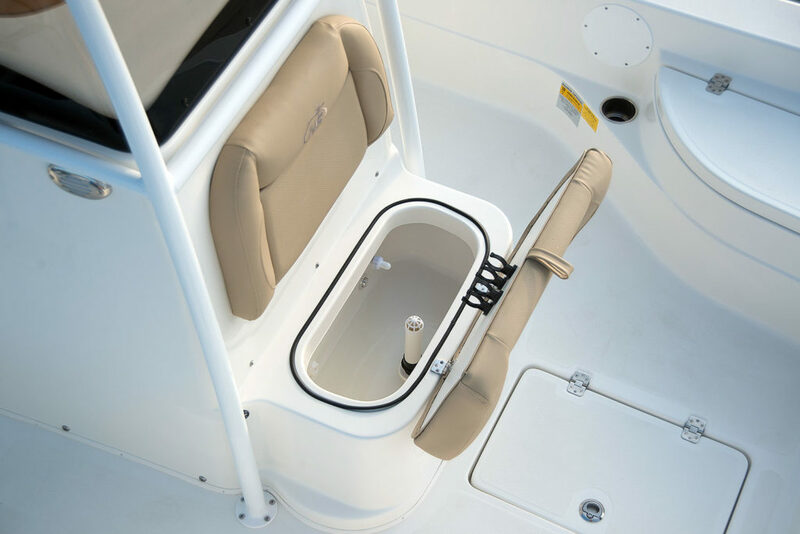 There is a 13 gallon livewell in the console seat. 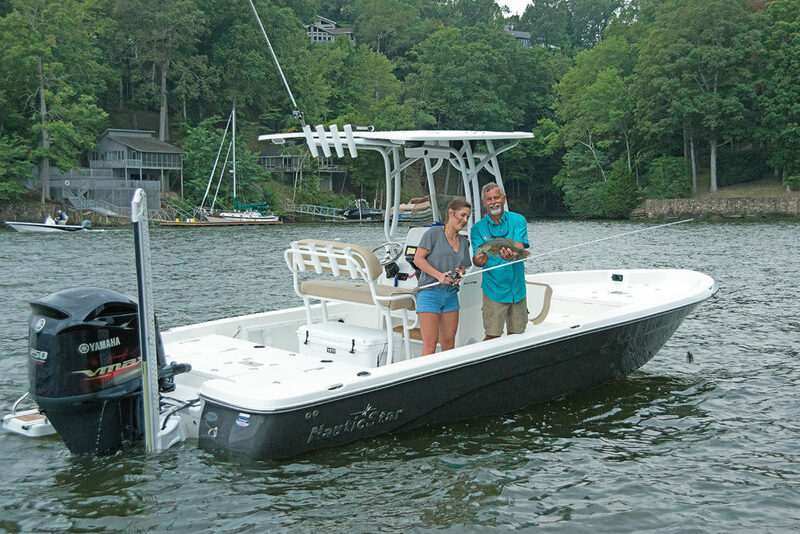 37 gallon aft livewell / release well with aerator, recirc and LED light. 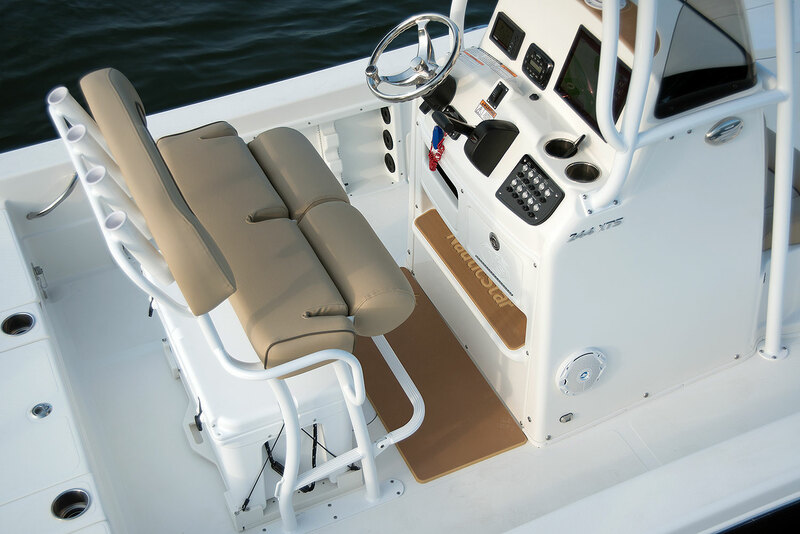 The aft fishing deck also features storage compartments as well as 2 jump seats. 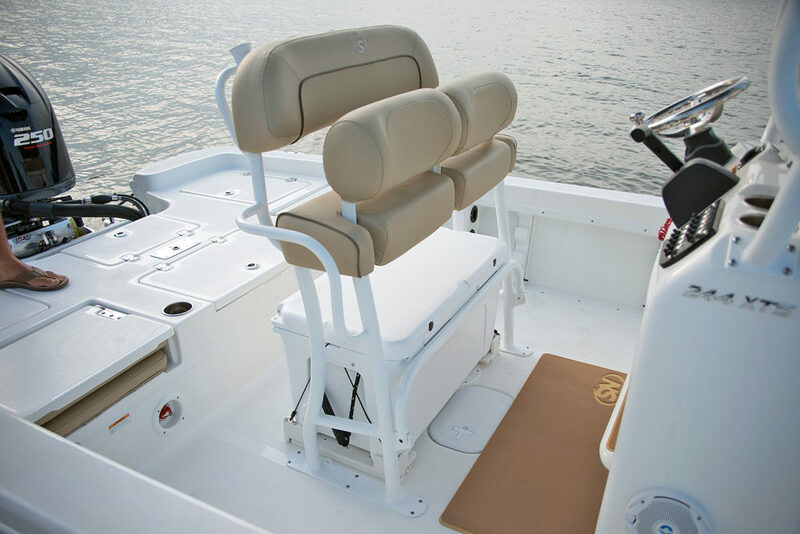 There are port and starboard removable tackle storage and jump seats with storage. 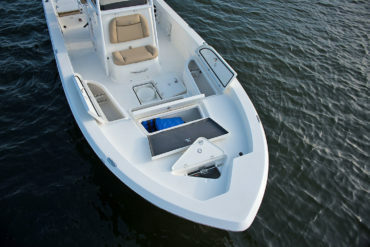 There is a 37 gallon livewell between the jump seats. 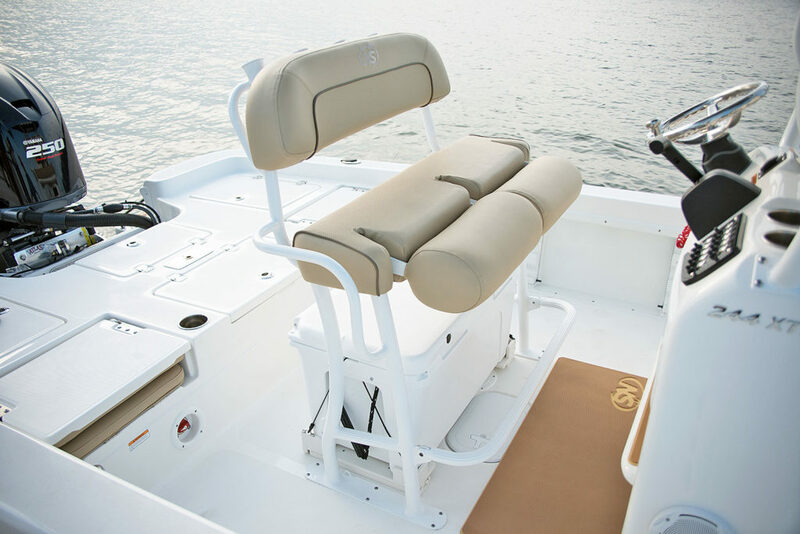 The seat backs fold down to form the large fishing platform.